This is cult-talk because the Bible is absolutely CLEAR that the church has been given a mission with specific methods and commandments to adhere to. Hillsong has clearly rejected biblical Christianity from its inception in Sherbrook Hall, Sydney, which is why it falls into the category of an anti-Christian cult. For further proof of Hillsong’s anti-Christian agenda, Brian Houston recently released an article titled “30 Rules for the Hillsong Australia Preaching & Teaching Team.” As you read through this, it becomes clear that these rules disqualify even Jesus Christ and His apostles from preaching behind the Hillsong “pulpit”. Brian Houston appears to surpass what the Bible clearly says about preaching and exalts his ideas and methods for what should be preached on the Hillsong stage. This only confirms that Houston speaks not from God’s authority but from his own “sphere of authority” (see Rule 21) This is what happens when someone like Brian Houston REJECTS the pastoral office and replaces it with his New Age “motivational speaker” office. 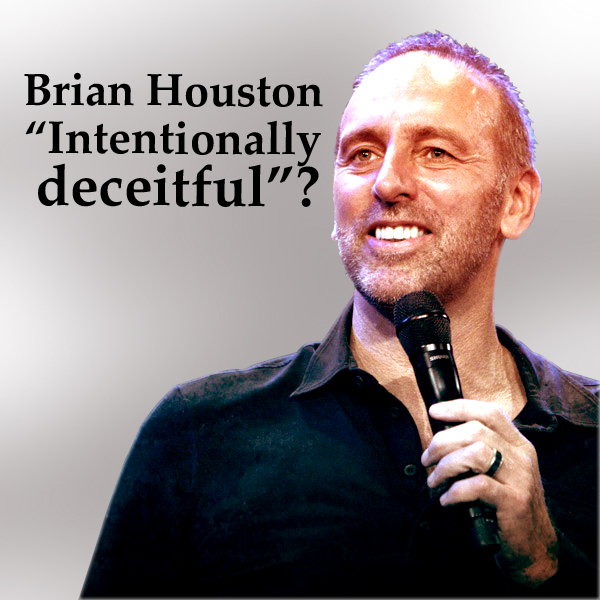 Does Brian Houston Want Credibility As A Pastor Or As A Public Motivational Speaker? 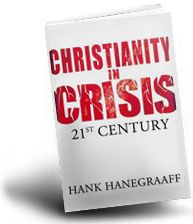 The Christian pulpit can preach positive messages – but this is not its number one goal. Christian teaching is NOT meant to motivate people but should be anchor people on the historical writings of the prophets, the apostles and Christ. The message of repentance and the forgiveness of sins through Christ’s death and resurrection is THE #1 goal. What’s even more damning is that THE #1 goal does not even make it in Brian Houston’s top 30 rules. In fact, his top 30 rules oppose the Christian message which was given to us by Jesus and His Apostles. “Now, brothers and sisters, I want to remind you of the gospel I preached to you, which you received and on which you have taken your stand. By this gospel you are saved, if you hold firmly to the word I preached to you. Otherwise, you have believed in vain. Of first importance, Christ crucified is meant to be preached. This is THE message Brian Houston blatantly rejects, which explains why this does not even make it on the list. Brian Houston says in Rule 19 that preachers need to preach “from notes you’d be proud to show me“. This means that no minister in Hillsong will be tolerated if they preached the Christian gospel message since Brian Houston vehemently opposes it. 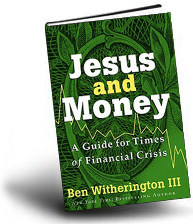 The final authority in Hillsong is Brian – not Christ. He determines what is relevant and what is not. And relevance is governed by popularity. This is why Hillsong is so dangerous to Christianity and needs to be rejected and seen for the cult that it is. More can be said with this problematic list and its hypocrisy but what we have said should suffice for now. Have you ever said something you wished you hadn’t? What about in front of thousands of people? Perhaps you don’t stand on any ‘physical platforms’… well, don’t disengage, this blog is still for you! It wasn’t long ago that I presented these key points on Hillsong’s Culture for Preaching and Teaching to our Staff, even though many of them don’t speak on our platform on a weekend or even during the week. Yet, all of us do have opportunity in one form or another to speak into the lives of others and it’s always wise to examine the way we communicate, what we communicate and the impact it has on our audience. I’ve learned some valuable lessons over 30 years of preaching and teaching in public – many through my own error. Culture, atmosphere and DNA in a church is not accidental. Just like culture, atmosphere and DNA of your home is not. You have to be deliberate about it – especially from the ‘platform’. Leadership in this area is about making intentional and focused choices, and taking a degree of measured risk. So wherever you have the chance to input into others – take a look at these guidelines to building a strong platform teaching culture in your church or homegroup – many of them can also be applied to your family life or worklife. There are 30 points – one for each year of experience! Don’t preach to an individual – using the platform to get a personal message across to an individual is cowardly and blesses no one. 2. IS IN LINE WITH OUR BELIEF. Don’t contradict basic fundamentals and doctrine. Make sure you know what they are BEFORE you take the platform. 3. HAS A SET TIME LIMIT. Hillsong Church typically has a 35-minute time limit on messages. Be a good steward of people’s time. Be reliable. You can do a lot of waffling in 60 minutes! You are entrusted as a steward of the platform you are on – the moment you go over time, you are outside of your authority! 4. MUST BE PROVEN IN THE BIBLE. If you can’t prove it, don’t say it. The platform is not for your opinions, it is God’s Word that matters. Every Scripture reference must be in context and within the tenure of Scripture = credibility and respect. 5. MANY HOURS OF MEDITATION, PREPARATION & FAMILIARISATION. All 3 are important. 1) Think things through. 2) Get the structure as polished as you can – it must impact. 3) Be familiar with your message so you get it across clearly and effectively. 6. CHECKED FOR OVERUSE OF “I”. It is not about you. People will see through a self-focused message and it doesn’t build others. 7. FOCUSED ON HELPING, NOT IMPRESSING. Joyce Meyer once made a comment that really helped me with this, after I had asked her if she ever gets nervous? She said: “I never think about myself, I just think about helping people.” This attitude will keep your focus on course. 8. REINFORCING – NEVER CONTRADICTING – OUR CULTURAL VALUES. Wherever you are speaking, you must respect the cultural values of that platform. Encourage the congregation to engage with what is local and relevant. 9. FROM A NEW TESTAMENT PERSPECTIVE. 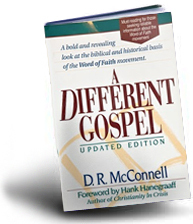 By all means use the Old Testament, but always through the lens of the New Covenant of grace – through the cross of Christ. Otherwise we are in danger of preaching law and condemnation rather than building people up. 10. A REFLECTION OF THE LIFE YOU ARE LIVING, NOT JUST THE SERMON YOU ARE PREACHING. Be authentic. The best messages come out of our own struggles and journeys. People sense authenticity as well as a lack of it. No matter how professional or eloquent you are as a speaker, you won’t build anything into people’s lives if you lack authenticity. 11. A REFLECTION OF YOUR PERSONALITY, NOT AN IMITATION OF SOMEONE ELSE. This was one of the hardest lessons for me to learn but one of the most important. You’ll always be your best if you are being yourself – It’s not about being perfect or about a certain ‘style’. Be your best self and don’t use this freedom as an excuse to support rebellion or negativity. 12. AFFECTS PEOPLE’S MONDAYS, NOT JUST SUNDAY. In other words, your message needs to be applicable to people’s daily lives. The greatest compliment someone who is doing well in life can give me is to say, “All I’ve ever done is to take the principles that have been taught in church and put them into practice.” – I love hearing that sort of testimony! 13. NOT STRAYING INTO THINGS YOU DON’T UNDERSTAND. Stay within your boundaries. Keep learning, but don’t preach outside your understanding. Stick to what you know but also continue to grow in what you know and in your knowledge of the Word. 1 Timothy 3 in The Message says of the leader, “He must know what he is talking about”. Preparation is a discipline. 14. REFLECTING WHAT WE ARE FOR, NOT AGAINST. Remember, our lives should reflect what we are for and not just what we are against. Preaching always against things leaves people feeling downcast. 15. LEAVES PEOPLE FEELING BETTER ABOUT THEMSELVES THAN WHEN THEY CAME IN. I intentionally approach every service by trying to create an encouraging environment. The world doesn’t input positive messages into people very much – between the newspaper and the television, people are starving for messages of hope and encouragement! 16. EASILY TRANSITIONED INTO AN ALTAR-CALL. Are people taking notes? Make sure people understand what you are saying, that there is substance to it, and that you are not boring. 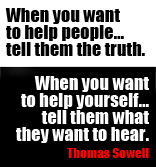 Be compelling and helpful to people. 18. SEES HUMOUR AS A BONUS, NOT THE GOAL. Humour is a tool, but it is not the goal. If you are not good at being funny, don’t try. Any use of humour should serve the message – but never build your message around a funny story or joke. 19. PREACHED FROM NOTES YOU’D BE PROUD TO SHOW ME. You should have some content in your notes: Key statements, scriptures, examples. Content – not neatness – is the goal. Your notes should reflect the hard work you’ve put in. 20. EXALTS JESUS AND BRINGS GLORY TO GOD. Be deliberate about this. “God” means many things to many people, so ensure you are presenting Jesus. People don’t need motivational speeches, they need the Word of God and AN EMPHASIS ON Jesus Christ. 21. REFLECTS YOUR LEVEL OF AUTHORITY. Speak within your sphere of authority, not outside of your credibility. Unless you have the right credibility or platform to confront and challenge people, then don’t. It is always better to encourage people. Minimise “I”, “me” and “my”. Be confident, not weak or false. I know who I am and that God has entrusted me with the platform. I know I belong here, but at the same time, I recognise I didn’t earn the right and I am accountable to Him for how I handle it. It’s about bringing glory to God – keep the main thing the main thing. 23. COMBINES FAITH WITH TRANSPARENCY. It’s not about exposing and highlighting our strengths and weaknesses, but balancing these examples to enhance the message – our weakness or strength is not the message. It’s not about being ashamed of the blessing but people benefit more from understanding the journey and challenges that you had to overcome to get there. People relate to and learn more from your struggles – don’t present yourself as perfect. Conversely, don’t be negative and down all the time – people need to be encouraged in their faith; they want to listen to an overcomer. 24. TELLING NOT JUST WHAT, BUT HOW. It’s more challenging to tell people how to outwork the principles we teach. I remember early in my ministry a man came up to me after I preached on loving God with all your heat, soul and strength and he said, “I want to do that, but how do I do it?” It’s easy to tell people what they should do but more challenging to tell them how. 25. LEFT BEHIND ON MONDAY. Don’t do post-mortems or beat yourself afterwards… AND be careful not to get too full of how great you think you were. Time moves on. Be good at walking away. 26. FOCUSED AS MUCH ON DELIVERY AS CONTENT. If you aren’t good at communicating your message, then no matter how good the content is, it will get lost on people. Say it in a way that best connects with the hearts of people. 27. AWARE OF A GREATER AUDIENCE THAN THE ROOM. The days are long gone when the possibility of being recorded in one form or another is absent – whether by individuals on phones or corporately on cameras or sound-systems. Even though you may be speaking to church family, you have to remember your message will more than likely go beyond the family – so nothing is entirely safe in that sense. Filter everything you say through this reality. 28. LISTENED TO OR WATCHED BY YOU. Ask for a copy of your message for review and don’t worry about appearing proud by asking – it’s a necessary part of growing as a speaker. Get used to how you sound and get past the ‘cringe-factor’. By observing and listening to yourself, you will notice habits and other distractions that you can fix. Learn to love the way you sound – if you don’t, no one else will. 29. HELPING PEOPLE OVERCOME AND BELIEVE WHAT GOD SAYS ABOUT THEM. 30. ABLE TO STAND ALONE IN A NEWSPAPER. Every message should include points that would stand alone in the newspaper. 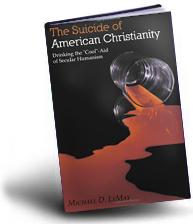 For example, years ago I wrote a book with a controversial title. I was young at the time and thought it was a great idea to use a controversial title. But as Hillsong’s profile (and my own profile grew), I may as well have drawn a bullseye on my forehead. It became fodder for journalists wanting to criticise it’s content. Let’s assume everything you say is quotable and can be published in a newspaper – how does it stand then? Think about how would you sound without your spirit and physical presence on it – quoted in black and white? Always take responsibility for what you say and never assume anything. It is an enormous responsibility that we have when it comes to carrying the message of Jesus Christ to this world. Ignorance is never an excuse, so decide today that you are done with excuses. Apply wisdom and understanding to the message on your life and the platform you have been given – and the potential and influence on your life will continue to grow and extend well ‘above and beyond’. “We refuse to practice cunning or to tamper with God’s word, but by the open statement of the truth we would commend ourselves to everyone’s conscience in the sight of God. And even if our gospel is veiled, it is veiled only to those who are perishing. In their case the god of this world has blinded the minds of the unbelievers, to keep them from seeing the light of the gospel of the glory of Christ, who is the image of God. For what we proclaim is not ourselves, but Jesus Christ as Lord, with ourselves as your servants for Jesus’ sake. For God, who said, “Let light shine out of darkness,” has shone in our hearts to give the light of the knowledge of the glory of God in the face of Jesus Christ.” – Apostle Paul, 2 Corinthians 4:2-6. Emphasis added. Before starting his review on Brian Houston’s sermon ‘Only For A While’, Rosebrough says the following. “I told you this sermon was coming up so you had fair warning. I told you before I went on Christmas break that Brian Houston was going to be umm- ‘preaching’ at Saddleback. 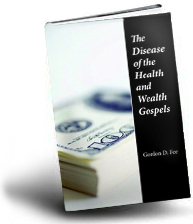 He is one of the main teachers of the prosperity heresy. (Tells you that Rick Warren’s theology is off the rails. 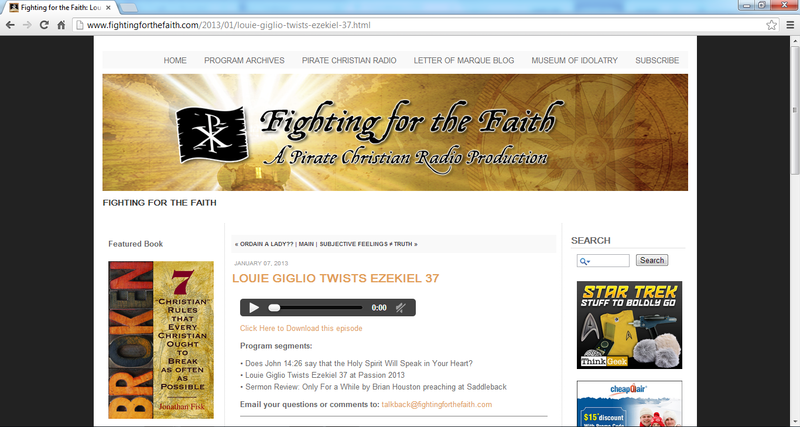 )” – Chris Rosebrough, LOUIE GIGLIO TWISTS EZEKIEL 37, http://0352182.netsolhost.com/F4F/F4F010713.mp3: 1:31:35, 07/01/2013. Brian Houston sermon is (supposedly) based on 2 Corinthians 7. • Does John 14:26 say that the Holy Spirit Will Speak in Your Heart? 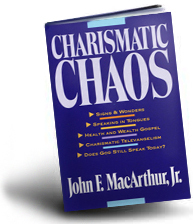 “a noted, well-known prosperity/Word-of-Faith heretic. That’s what Brian Houston is. 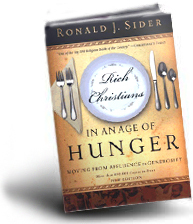 We’ve covered quite a few of his false sermons here at Fighting For The Faith over the years. And it’s important to note he’s at Saddleback church. That’s basically Rick Warren thumbing his nose at Jesus and the Holy Spirit and saying, ‘I don’t care if Your Word says to separate myself from people who teach false doctrine. I’m going to have Brian Houston over here anyway because he’s so popular right now’. I think that’s the right way of looking at it.” – Chris Rosebrough, LOUIE GIGLIO TWISTS EZEKIEL 37, http://0352182.netsolhost.com/F4F/F4F010713.mp3: 1:32:10, 07/01/2013. 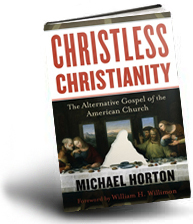 Christ Rosebrough accuses Brian Houston of serious issues in how he treats 2 Corinthians 7. At 2:02:35, Rosebrough states how Houston is handling the text. Then came this serious protest against Houston’s handling of the biblical text. “Listen. Folks, I’m sorry. I’ve watched this thing twice. This is intentional. This is absolute intentionally deceitful. He starts off in the New King James version and then right here, he switches to ‘The Message’. And the reason why he switches to ‘The Message’ is so that he doesn’t have to read, ‘for Godly grief produces repentance’… He literally wants to avoid what this text says… So at this point, this is like a magic trick. Okay? He’s now going to, ‘Oh! Just let me switch to The Message okay?’ But he’s doing that so that he can continue to make his point that ‘they discovered the power of ‘only for a while’, rather than make the point how Godly grief produces repentance.” – Chris Rosebrough, LOUIE GIGLIO TWISTS EZEKIEL 37, http://0352182.netsolhost.com/F4F/F4F010713.mp3: 2:03:02, 07/01/2013. The sermon was so bad, Brian Houston had Chris Rosebrough marvel. “Man! He is a skilled- quite skilled bible-twister. He is very careful to avoid the passages that would upset the agenda that he has set for this text. Because the last thing he wants to do is let God’s agenda for this text, come through.” – Chris Rosebrough, LOUIE GIGLIO TWISTS EZEKIEL 37, http://0352182.netsolhost.com/F4F/F4F010713.mp3: 2:17:42, 07/01/2013. “Brian Houston has done a masterful tap-dance routine here to make sure to avoid having to talk about Godly grief that produces repentance.” – Chris Rosebrough, LOUIE GIGLIO TWISTS EZEKIEL 37, http://0352182.netsolhost.com/F4F/F4F010713.mp3: 2:18:47, 07/01/2013. “He literally bent God’s Word into a pretzel- literally distorted it in order to avoid at all costs, making the point that’s actually been made in this text… Brian Houston literally, did everything in his power, pulled out every hermeneutical twisting technique that you could possibly think of. Going backwards in the text. Forwards in the text. Switching to The Message paraphrase. Everything he could do to make sure not to make the point the text makes. And what would you expect from somebody who is a Word of Faith heretic? 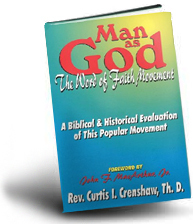 They are not men of God (or women of God). None of the above. They are agents of the devil and the devil is a liar and a deceiver. That’s why when they get the pulpit or get on stage they lie and they deceive by tampering and distorting God’s Word. Dangerous days we live in.” – Chris Rosebrough, LOUIE GIGLIO TWISTS EZEKIEL 37, http://0352182.netsolhost.com/F4F/F4F010713.mp3: 2:33:21, 07/01/2013. While the Apostle Paul refuses “to practice cunning or to tamper with God’s word, Rosebrough exposed Brian Houston of his cunning. That is, he exposed Houston of intentionally tampering “with God’s word” to preach what he wanted to preach. But it’s worse than that. Brian Houston attacked and demonised the Apostle Paul. How? It was the Apostle who rebuked his readers and gave them Godly grief. And it was also Paul in this letter that stated, “what we proclaim is not ourselves, but Jesus Christ as Lord, with ourselves as your servants for Jesus’ sake.” So not only did they rebuke the Corinthians, they purposely saw themselves as servants to Jesus, not proclaiming themselves but JESUS. As John the Baptist declared that he must decrease so Jesus may increase, so too was Paul and his instruction to the Corinth church similar. Brian Houston did the exact opposite. He preached selfishness and excluded Jesus. Brian had the audacity to say, “the devil wants to keep your life small”. Doesn’t that sound like something Paul’s enemies would say? Why would you want to limit yourself to the role of a servant? Isn’t that small thinking? Isn’t that limiting your potential for God’s plan in your life? Do you think Brian Houston has a god that keeps him on the narrow road and points him to the small gate?